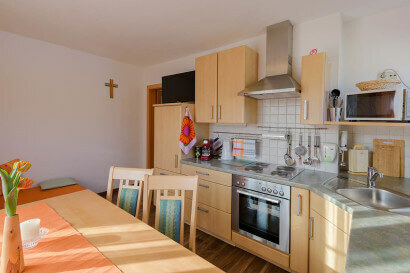 Our apartment in Flachau is the perfect place to unwind and relax. 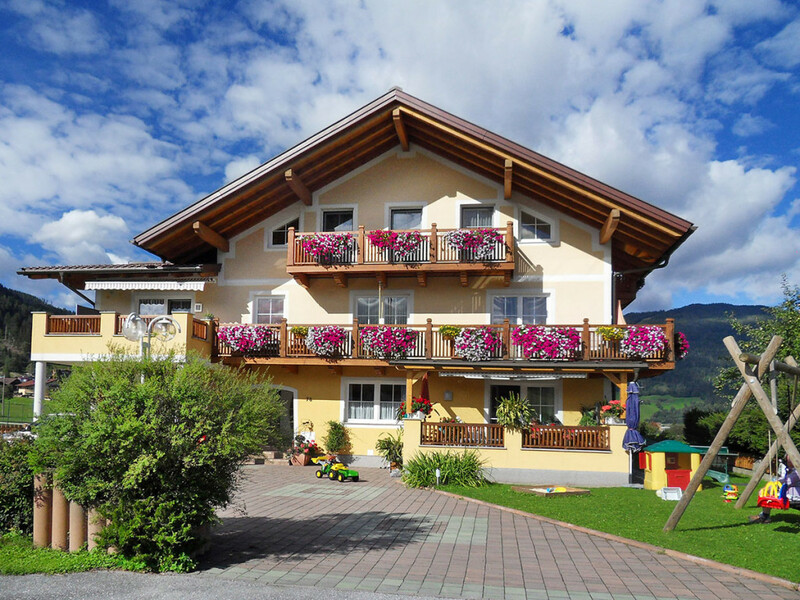 Spend your holiday in the district of Reitdorf – in a sunny and quiet location, with a view of the mountains. The apartment is light and airy, comfortably and furnished and is ideal for 4 – 5 persons. Take advantage of the living room / kitchen, 2 bedrooms, bathrooms, 2 WCs plus balcony. We offer our guests a wide range of services: free wi-fi, free use of the infra-red cabin sauna, children’s playground in front of the house, bread roll delivery service on request. It’s just great in Flachau. 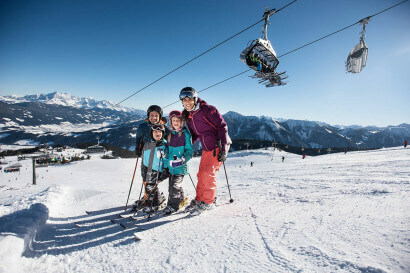 Spend your summer and winter holiday in Salzburger Land as you wish – active, relaxing or cultural. On your ski holiday the bus transports you directly from Haus Maier to snow space Flachau in the Ski amadé. Access to the cross country trail is just a few metres away. 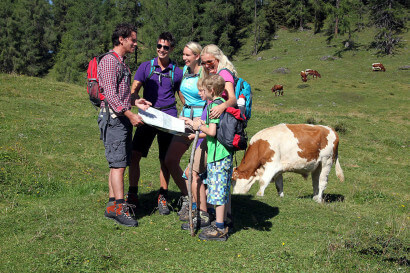 In summer our apartment in Flachau is surrounded by a cycle path and numerous hiking trails. The Therme Spa Amadé is just 1.8 km away. There are a wide range of sights & attractions and events in Salzburger Land as well as in the cultural City of Salzburg.